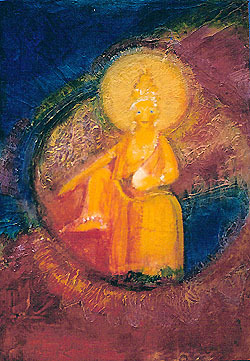 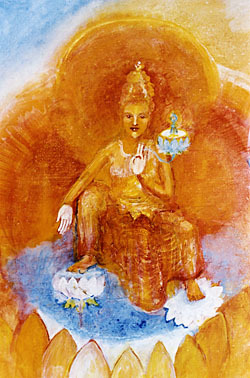 Mamaki is the golden yellow female Buddha of the South, the consort of Ratnasambhava. 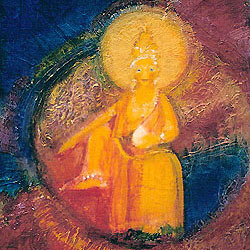 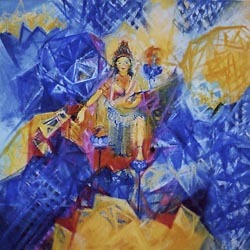 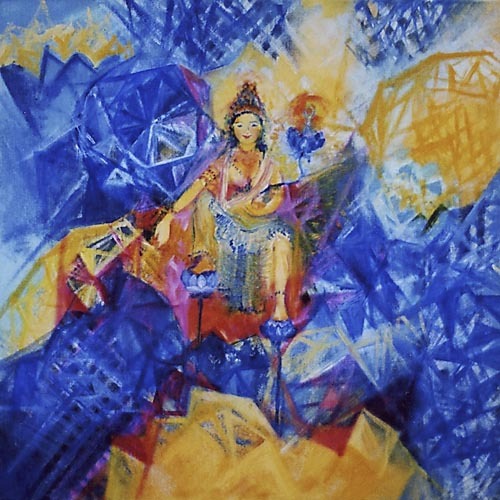 In the painting below, Mamaki sits in a jewelled background which references her membership of the Ratna or jewel family. 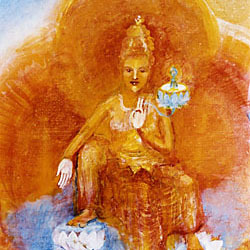 The jewels open us to multi - facetted associations with precious gems, which may lead to a rich chain of reflection.